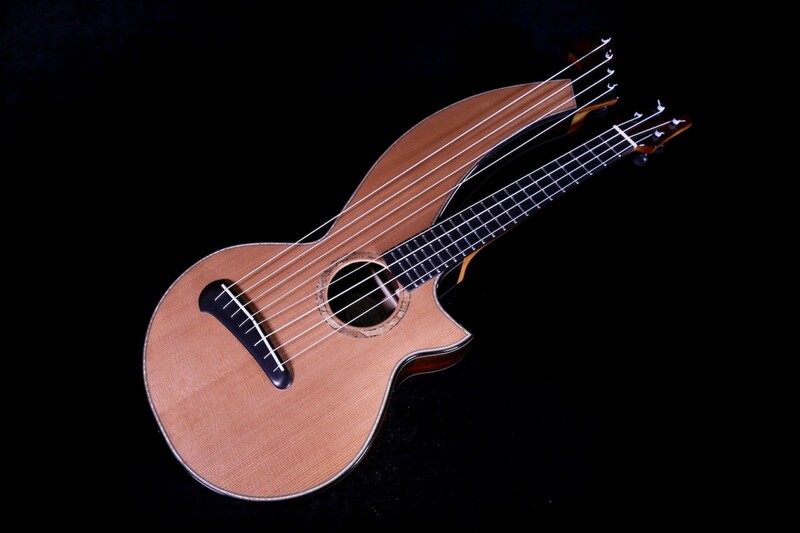 Highly respected by his peers in the guitar community and by musicians worldwide for his creativity in design and tone in harp guitars and ukuleles, this beautiful custom ukulele was handcrafted with the finest materials by luthier Duane Noble of DL Noble Guitars and Ukuleles of Richland, WA. 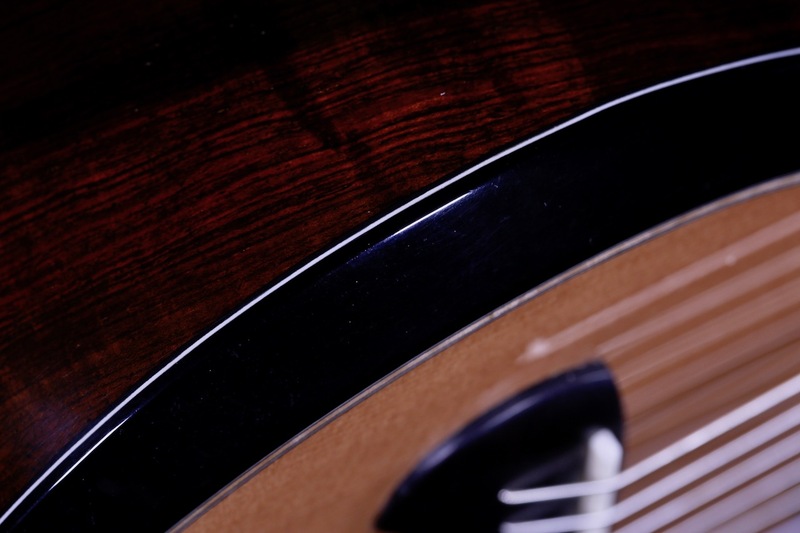 Handcrafted with the utmost care and attention to detail, this gorgeous custom Duane Nobel ‘harp’ ukulele has a personality and presence all its own. 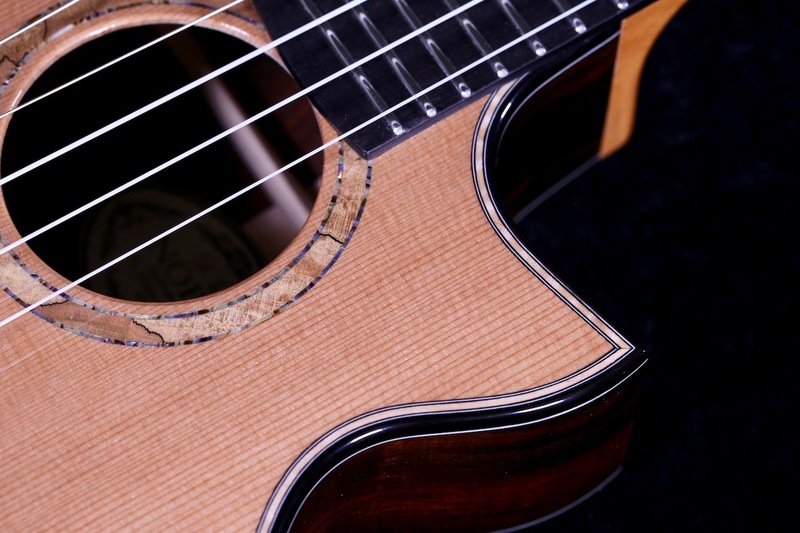 It boasts a beautiful set of old growth Brazilian Rosewood back and sides with a master grade Western Red Cedar soundboard. 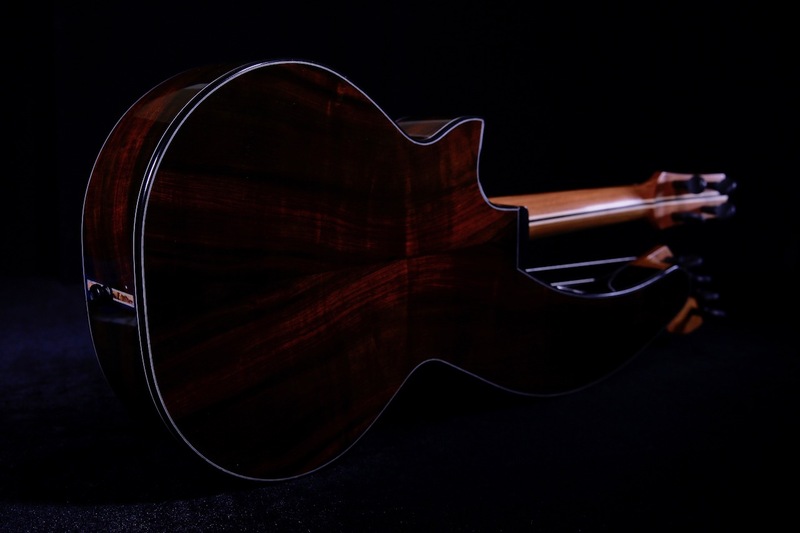 The fingerboard, bridge, and top and back binding are all crafted from Duane’s private stock of jet-black musician’s grade Madagascar Ebony wood, adding to the aesthetic of this elegant build with the quality of a studio recording instrument. Elegant white-black-white accent lines on the soundboard, side, and back of the instrument provide definition against the darker hues of the Brazilian Rosewood. 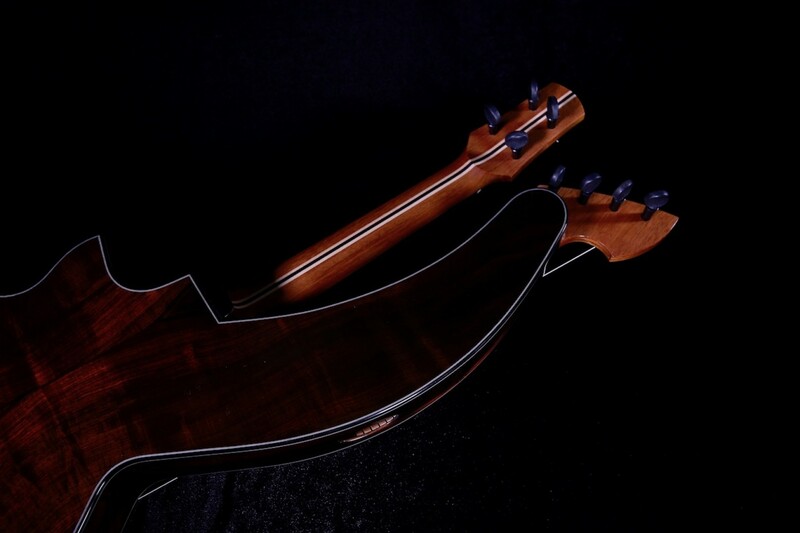 Matching Madagascar Ebony wood fingerboard, bridge, armrest bevel, and top and back binding with Brazilian and ebony wood head plates in keeping with the theme of this gorgeous instrument. 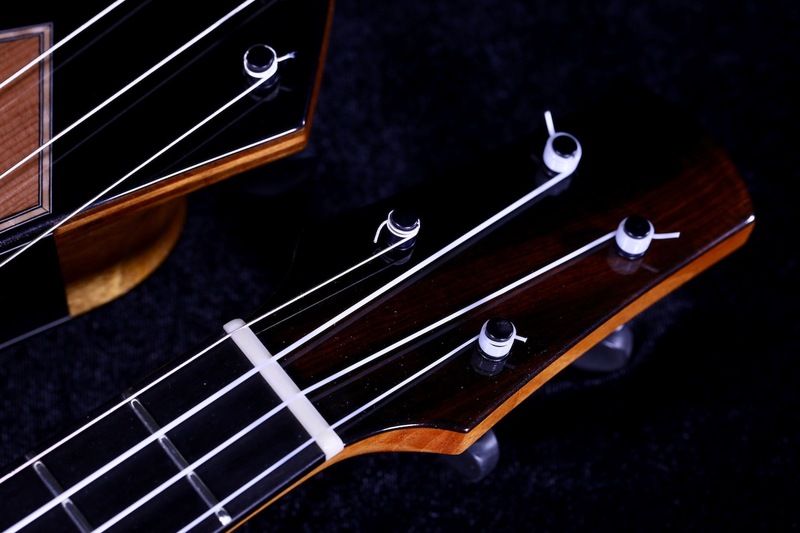 Professional Peghead geared tuners for precise and smooth tuning. 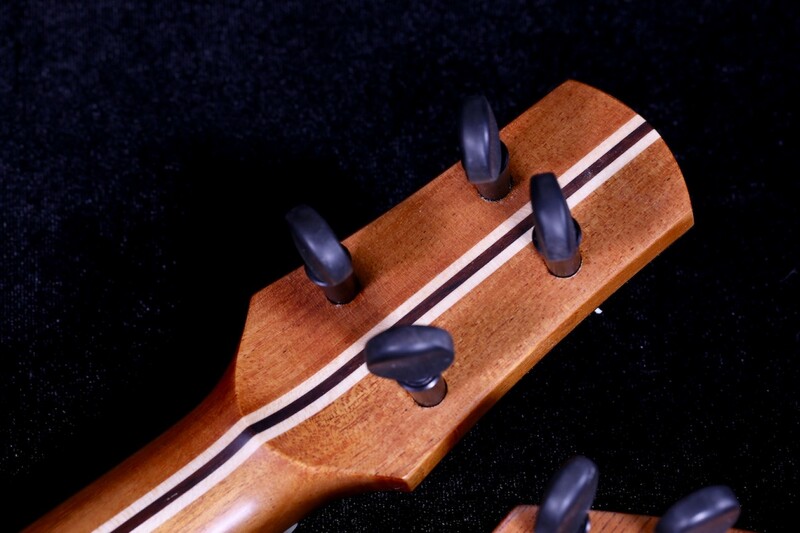 Bone nut and saddles. Spalted Maple rosette with fine line paua abalone rings and paua abalone side fret dot markers. Spalted maple end graft with ebony end pin and abalone eye. 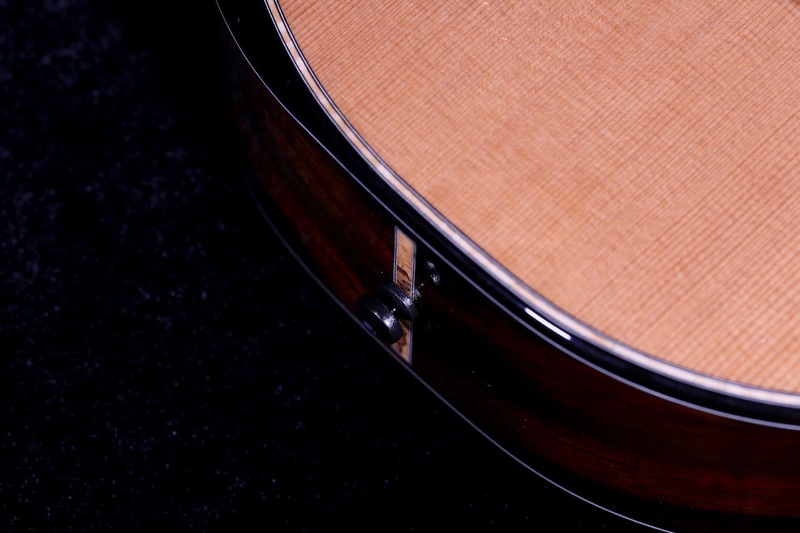 Figured maple with black/ white/ black top purfling. 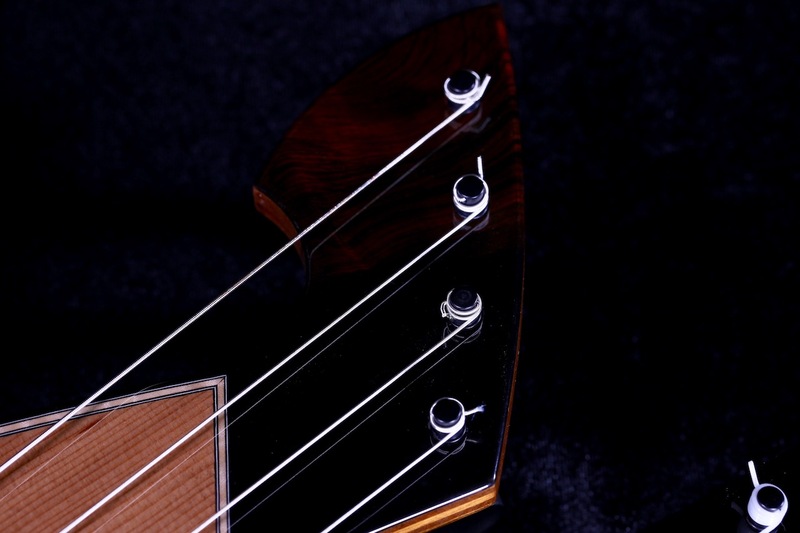 use the typical high G on the neck, Gregg Miner being one. 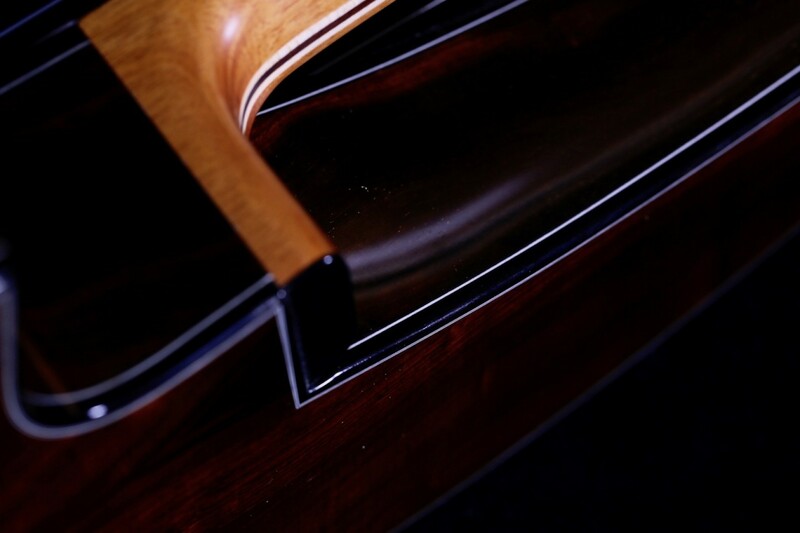 The harp strings can be tuned to the root notes used in a particular tune, making for a number of possibilities. The body style is uniquely designed to provide optimum tone to the player and the instrument has remarkable projection and clarity. 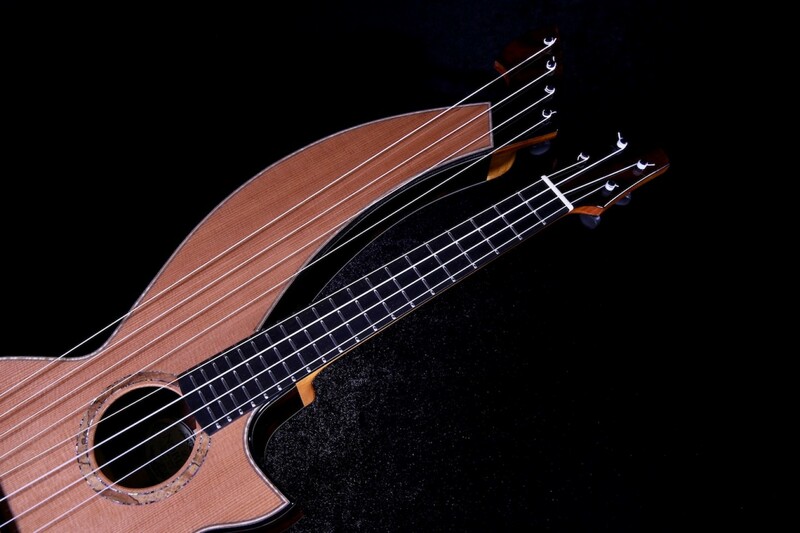 Duane also slightly exaggerated the lower bout on this design, emulating the lower bout design of a full size tenor ukulele with a concert scale and and shallow body design of the smaller sound box of a concert ukulele. This allows for a brighter and bolder tone quality. 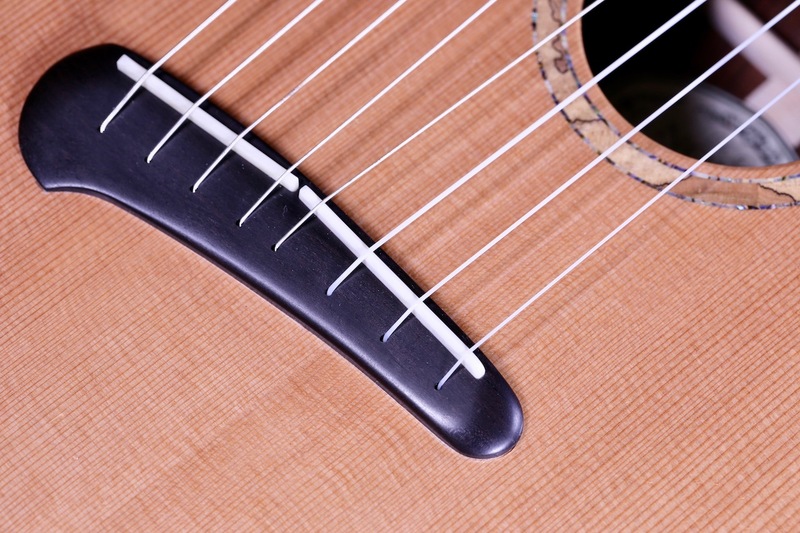 Easy reach high up on the neck with a cutaway and 17th fret joint to the body and 20 overall frets to the sound hole. The instrument is very comfortable to hold and quite light in weight, likely adding to the wonderful projection and sustain offered by this ukulele. 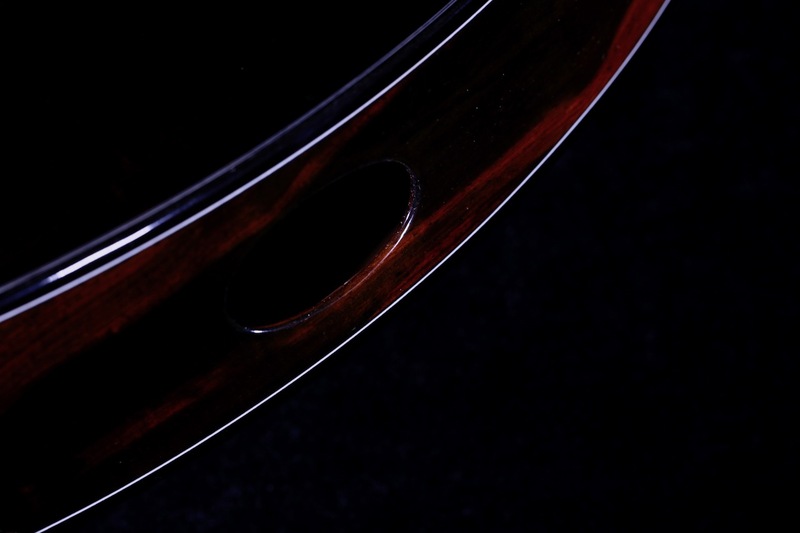 Aesthetically appealing, this instrument is a complete package of fine craftsmanship with excellent projection, sustain, and clarity and a full range of tones. 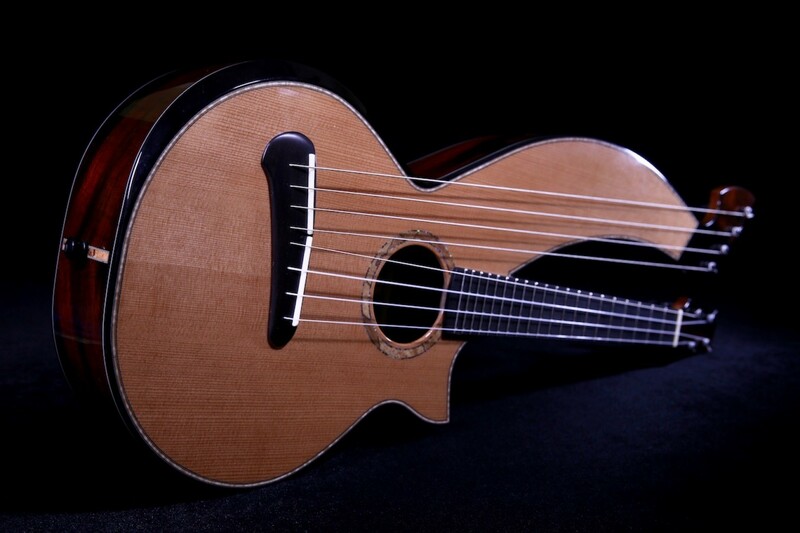 There is a depth and richness to the instrument that is both beautiful and powerful when fingerpicking, in particular. 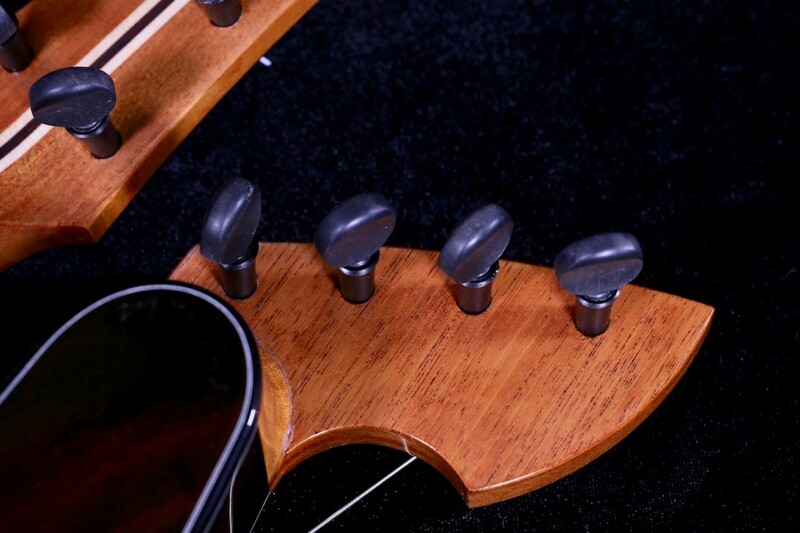 Ideal for both solo playing or accompaniment with excellent projection and overall presence. 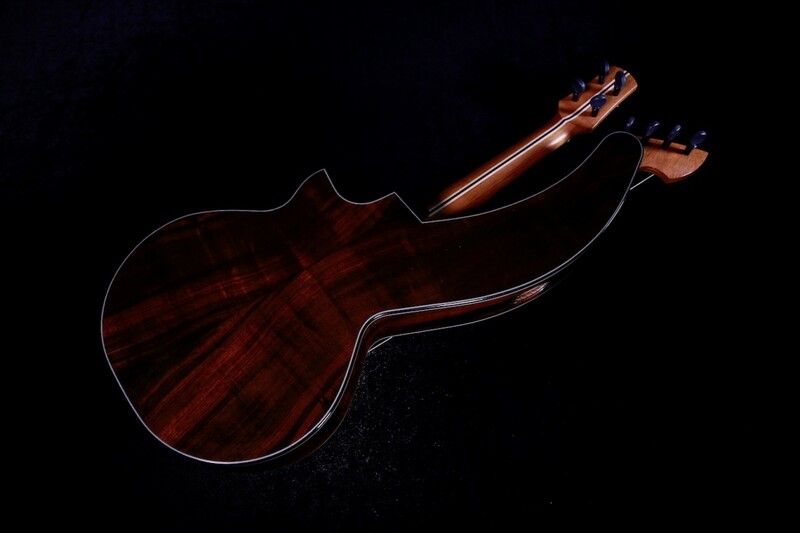 Here is a sample that Duane provided of one of another Brazilian Rosewood and Western Red Cedar top – harp ukulele – being played. 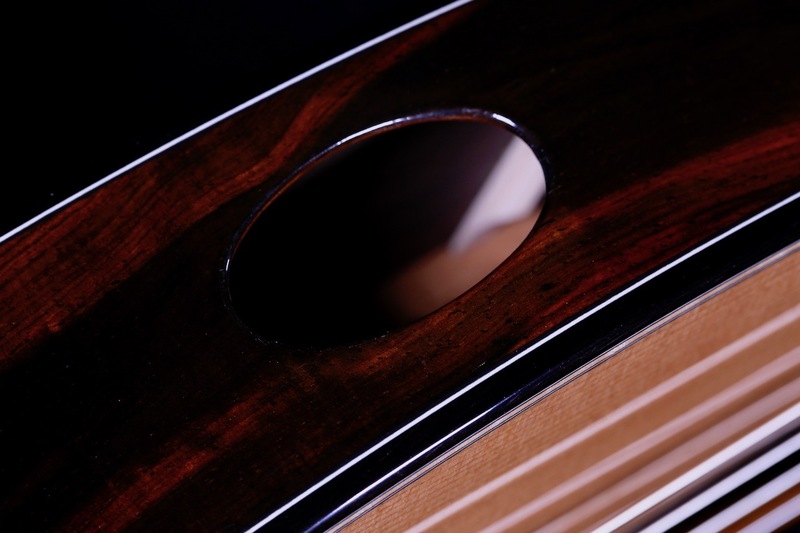 The tone is similar to this one although the one in the video has a front port whereas the one in our inventory has a side sound port. Click here. We will be recording this instrument in the near future but this video will provide you with insights on how these instruments are played.